Sarah Webb will guide you through the basics to make a round-base basket and write the recipe for that basket. More accomplished makers will be able to experiment with differing weaves to create pattern and texture, as well as borders, handles and lids (time permitting). 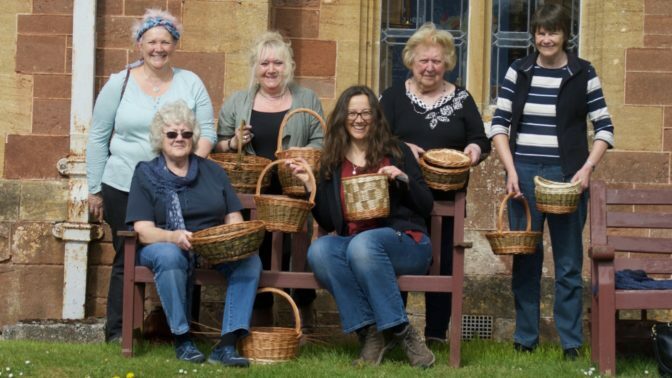 The course offers a solid foundation for future learning including Oval and Square courses at Halsway later in the year, as well as being a fun and interesting first experience of basketry. Most people are able to complete one basket on this course. Suitable for all skill and experience levels. An introduction to basketry for complete beginners, or a useful and thorough refresher course for those with some experience.